Do you want to create a fun, creative, and deeply personal day, reflective of you as a couple, but need advice and support on ensuring every detail is taken care of? Are you a busy couple who want to create a stunning wedding to share with your friends and family, but have limited time to spend planning and getting into the details of the day and would value expert advice? Have you started planning your wedding but realised its going to be a much bigger task than you thought and you are now running out of time? 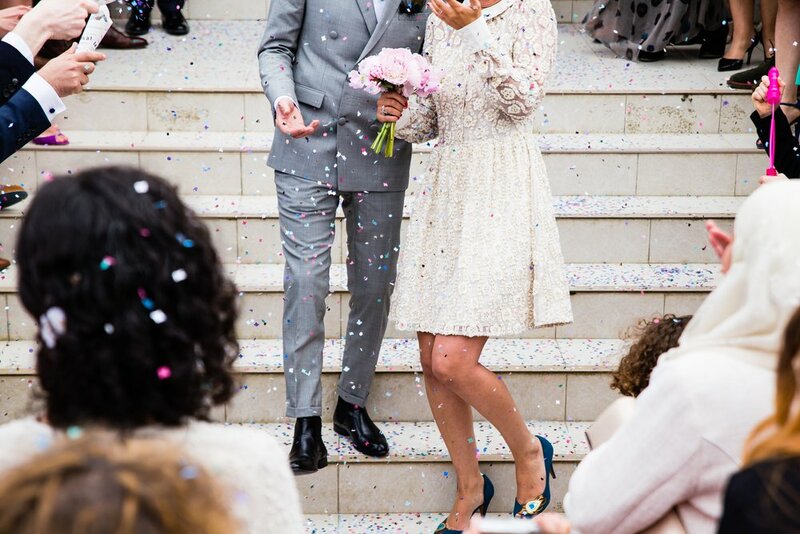 Or perhaps you and your fiance have planned your wedding in line with your vision, but realised you need a professional on the day to ensure everything runs smoothly, leaving you free to sit back and enjoy every moment? If any other above scenarios resonate with you, or perhaps it has been something you have been thinking of for a little while now, then hiring Purple Mint as your wedding planning will be the best investment you will make for your wedding day. Many couples like you see the value in having a professional helping hand to ensure that the most important day of your life runs exactly has you have always imagined. Stress - using a wedding planner helps to minimise the stress of planning your wedding. Whilst various challenges may come up, your wedding planner can look after the nitty gritty parts of organising your wedding, leaving you to focus on the most important things, Knowing a professional is looking after your day will help you to feel less stressed in the lead up to your wedding. Cost management - are you finding it hard to keep track of everything you have to pay for? Are you close to going over your maximum spend for your wedding budget? A wedding planner can help you stay on track and within your wedding budget. Purple Mint helps couples focus on what they truly want from their wedding day, allowing them to create a special moment which truly reflects who they are and enjoy their special day. We would love to get to know you more and discuss how Purple Mint can assist you with planning your wedding day. You can send a message through our Contact Us page or why not send an email to hello@purplemintevents.com for a complimentary initial consultation on your wedding day needs.